Big Boi's "Gossip" with Big K.R.I.T. & UGK receives a re-vamp. Following the announcement that OutKast would be reuniting for not just one, but forty different festival tours, we've also heard from Big Boi himself that he's working on a new solo effort. Before we get any leaks off the new LP though, Big Boi is returning to his last effort Vicious Lies & Dangerous Rumors. Daddy Fat Stax is bringing us weekly releases which re-visit records off Vicious Lies & Dangerous Rumors, whether they might be remixes or mash-ups, with "Gossipzilla" it's the latter. 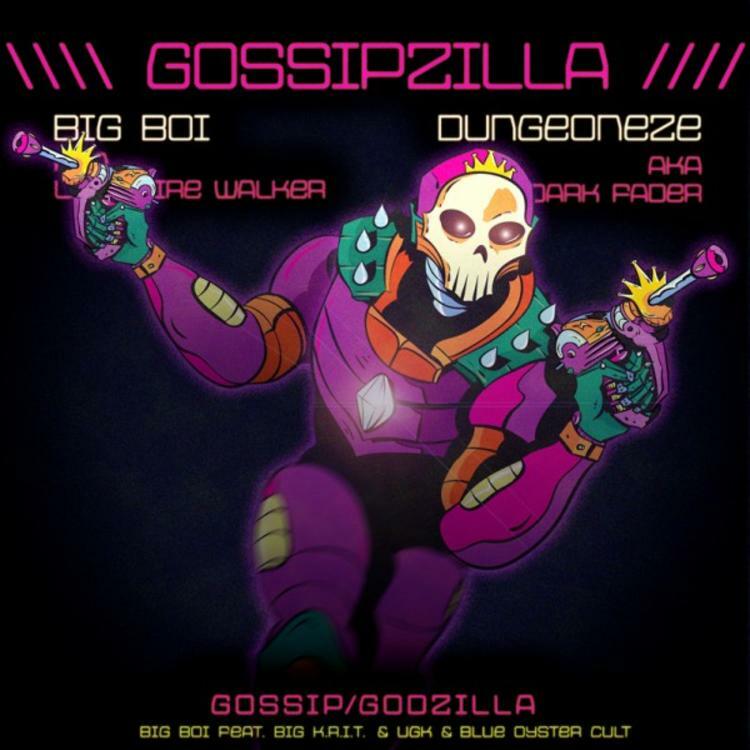 "Gossipzilla" finds Big Boi's "Gossip" mashed up with Blue Oyster Cult's "Godzilla" for a Dungeoneze remix. What do you think of the result? It's a free download, and be on the look out for more Dungeoneze mixes.